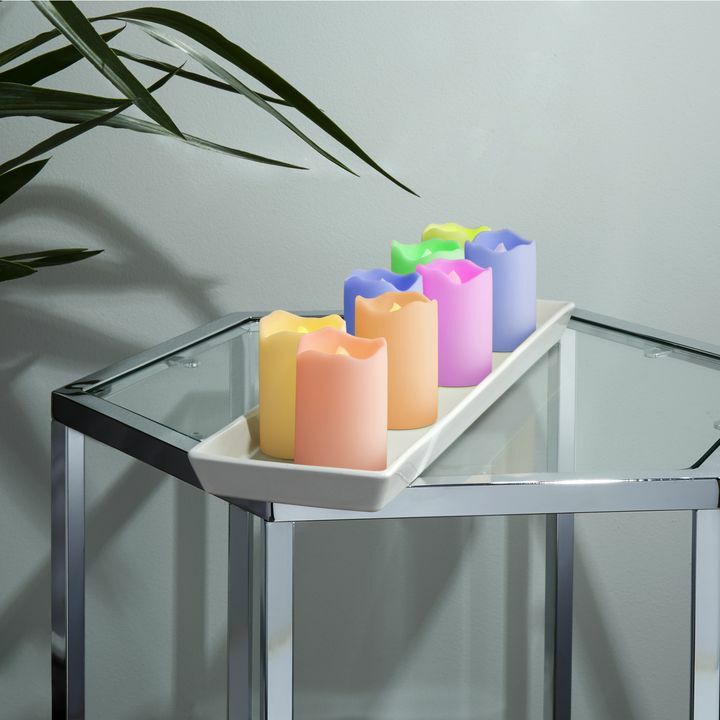 There are only 472 available of the Flameless Resin Candle with Warm White or Color Change Options, Set of 8. Your selected quantity has been adjusted. 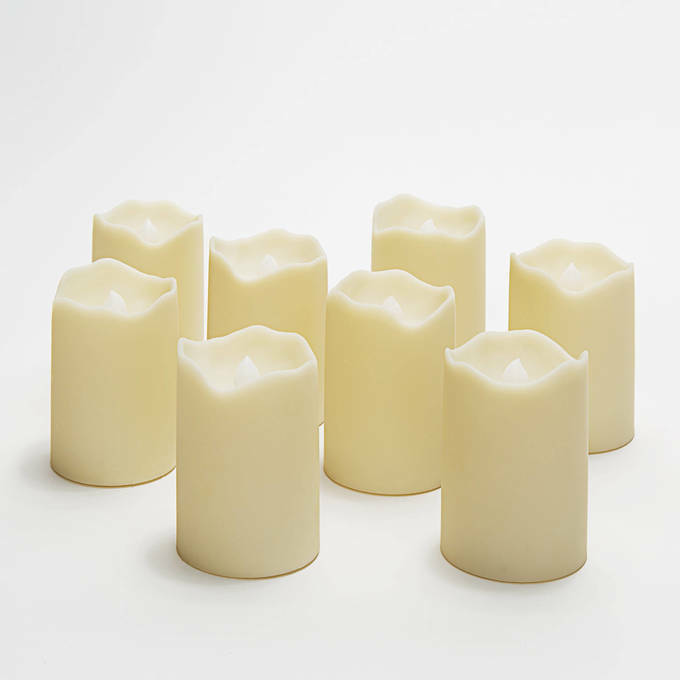 This set of resin candles includes eight votives, each with a life-like melted edge effect and a warm glow that mimics the natural movement of a traditional candle. Enjoy the inviting ambiance, during the holidays or all year round, without the mess of wax drippings or worry of an open flame. Perfect for home, weddings, churches, restaurants, and events. The 3" tall candles, set inside 3.5" tall clear glass bowls and complemented with 2 rows of clear glass mini marbles made the whole setting most beautiful and very elegant. Color change is a lovely option! I used these for centerpieces I created for a rehearsal dinner this past weekend. I placed them in a round clear globe and sat them in the center of the flowers. Perfect size. It turned out beautiful and we were able to use the center pieces for the wedding. I plan to use these through the holiday season also. Pleased with the turn around time, the product and customer service. They are a little small from what I thought they were going to be. They are still very cute candles to have and for the price as well. I wish the size was in the description, they are smaller than they look, however a great product and they go them to me FAST! I used the product for a wedding in a location that didn't allow real flame candles. They looked beautiful. Just used the amber flames not the changing ones. The quality of these flameless candles were perfect for a wedding in iron chandeliers. They looked like real candles and when it rained, it didn't matter! They still glowed perfectly. 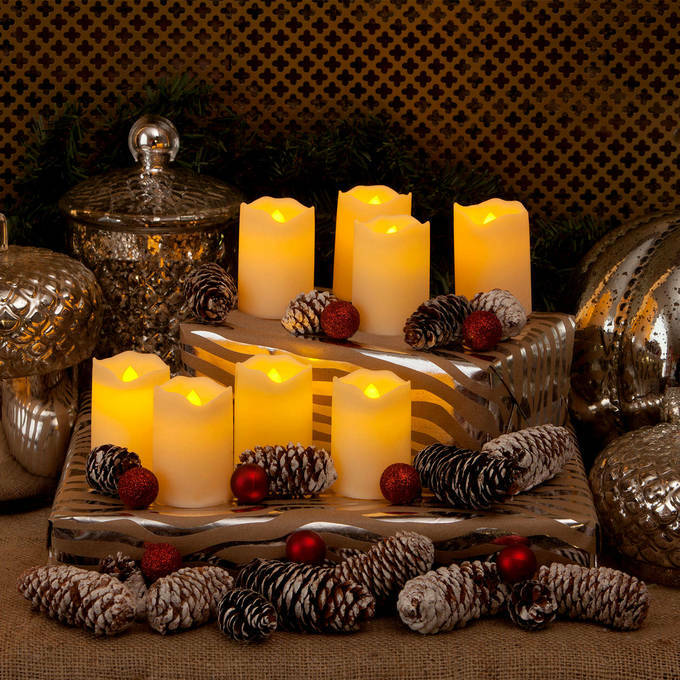 These flameless candles were on sale and the are a great bargain for a great product. Use the producty in my windows and it was recommended by my sister, who uses lots of these in lots of windows and on her mantle. I probably should have returned the one, but it simjply was too much trouble. These are amazing! Exactly what I was looking for and at a great price! This set is beautiful - the color burst is truly vivid. I've remained impressed with the color intensity and the almost silky feel of the resin when grasped with your fingers. I have so many plans for this team of lights! These are realllly cool! I bought a new Jacuzzi and now have 16 of these candles that I set up around the deck while I relax in my bubbles. So relaxing under the stars. 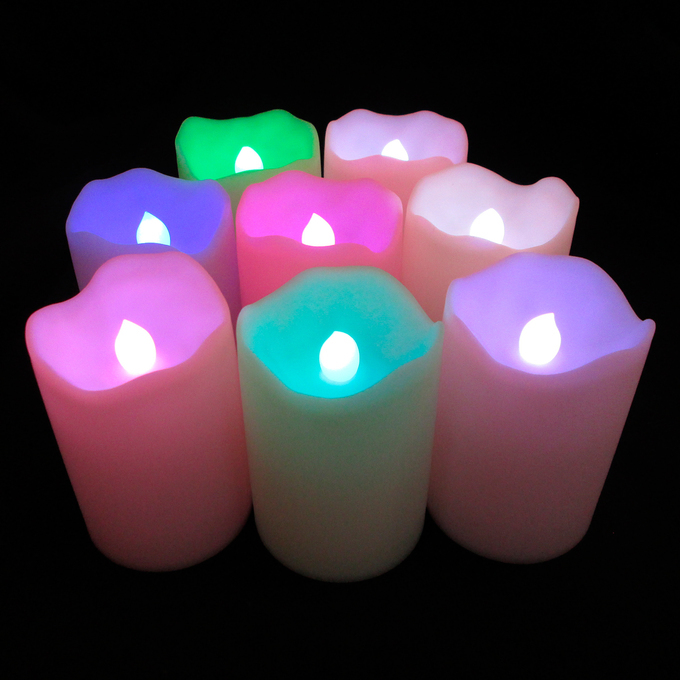 We are extremely pleased with the product we bought (set of 8 led candles). We do, however, wish that you sold batteries that will work on them. I bought these as a gift for someone, and they are beautiful. I think my friend will love them for her patio. Very colorful. Looked pretty around my patio. Also got one for a gift. I love the LED Votives. Can't wait until Christmas to lighten up my Holiday. I like these a lot, use them all the time, but did not realize that I would need to change a battery every 60 hours. These are perfect and a great value for the price. Delivery was swift and exactly what I expected. I am very happy with the lights. They work great and are beautifull. I'm very happy with my purchase. The lights are exactly what I wanted. I love the color option for a fun mood or parties, and the amber flicker option when you want a romantic or mellow mood. The lights arrived very quickly with no problems. I will be ordering from lights.com again. Happy Customer! These are more than Fabulous!! I knew I would love them, so I ordered 2 sets to start with!! I have them in various places in my house, even in some Lanterns usually used with regular candles, but this is much safer, with the added perk of changing colors, too. Thanks so much, I will be a steady customer for gifts for my family & friends!! This is a ***** (5-star) product!! Very nice for the price. I thought they were bigger though. Great deal and great product. Customer service (Sam) was very friendly and efficient as well! Thanks! I love that batteries were included. A little mor lightweighit than I expected.. The colors are nice. These lights are great. I use them indoors on my stairs which looks great at night. I also put them in my bathrooms. I love these candles. We use them in our patio and don't worry that the wind wil low them out. They are also a great item for the bathroom when I want to take a leisurely bath. Mi turn all lights off except my candle lutes and just relax. 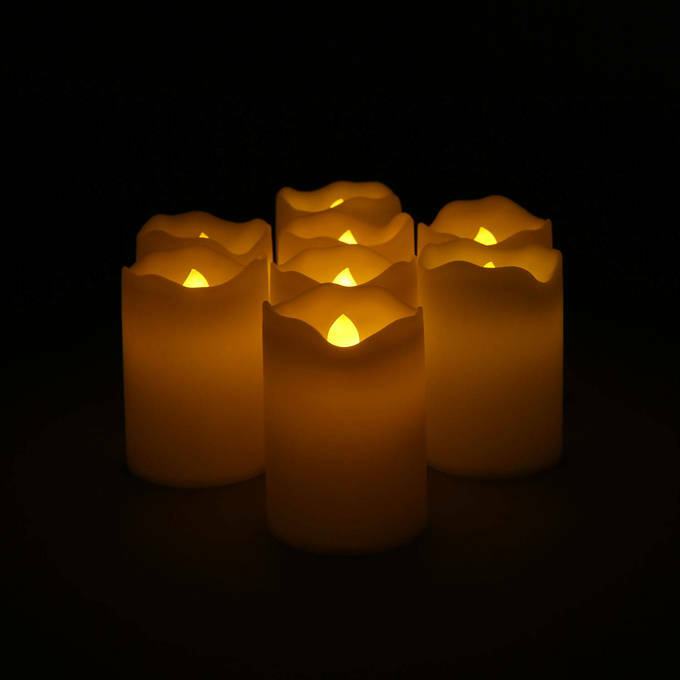 The photo of these candles give the appearance that they are much larger. I was expecting the standard size pillar candle. These are about 1/4 that size. But, I do like not having to burn up money buying real candles and these are much safer. Love these so much. We use them in the garden, inside the house and more often than not , inside the kids rooms. We have to order another set because my mom loved them so much she made off with 4 of them. The color changing element makes them a home run. Speaking of which, they went camping this weekend. Again worry free ...NO REAL FLAME !!!! Which is the best part!!! One of my favorite purchases.!!!! Purchased these in the hopes the whenever we BBQ at night, my little 22 month old can hold the candle himself so Daddy can cook. It gives him a sense of purpose and of course, it helps that the candle itself doesn't get hot to the touch. We also give it to him to hold as he's walking himself to bed. i have received my Indoor Outdoor Resin LEd votives but have not opened the package as it is a Xmas gift for someone special. The photo of the lights caught my eye. I hope she enjoyes them. I just received my candles and absolutely love them! the color changing has such a smooth transition blend from one color to the next. My kids thought they were the coolest and I can rest easy knowing that they won't burn themselves. The regular amber color is warm and flickers ever so gently. I only ordered one set but am seriously considering buying another set. My kids are each going to use one as a night light. Love my Resin LED Votives, would definitely buy again! The lights are super cute! They made each of my rooms feel very calm, cool and relaxing. Best of all, I like how the different colors made my room feel very magical and ambient. My wife and I were very please with lights. Surprisingly very bright and came with the batteries already in each candle. They will look great around the deck and pool. 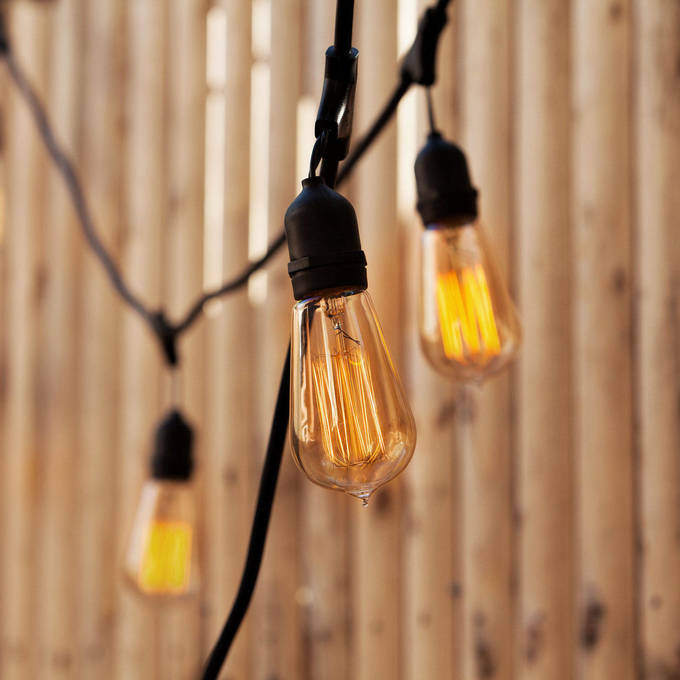 These lights work great for indoor and outdoor use! Just be sure to turn the switch to the correct side so you don't have color-changing if you're trying to have the Amber Flicker setting! Unfortunately, regular shipping does take a lot longer than anticipated (almost 2 weeks!) so if you have an event you need these for I would pay for the extra shipping! These lights are a fun and look great on the deck. Also purchased some for a friend who was thrilled to get them. I love my lights, but two don't work and I don't want to pay for shipping again to send them back. Thank you. An awesome snag! These little lights add so much mood. I love how each one has the option of color changing or single color amber. If you choose amber, the candle has a wonderful "flicker" effect. The main reason I bought these was because they are totally safe to use with little ones around. Fun ambiance/ no worries about safety = win/win! And it is safe around children. Great and easy to use. They look wonderful either out by my pool or in my home. Now that I have tried them I am buying them as gifts for Christmas! Great product! Candles were exactly what I expected. Quick and easy delivery! Thank you I can't wait to set them up. Great value and the colors are really true! The option for amber or color makes these very versatile. Love these for my patio...the color change is beautiful. LOVE THEM!!! They were the right price and look outstanding placed strategically around the tables on our deck. Easy to use and store, I'm sure I'll enjoy them for a long time. Got many compliments! 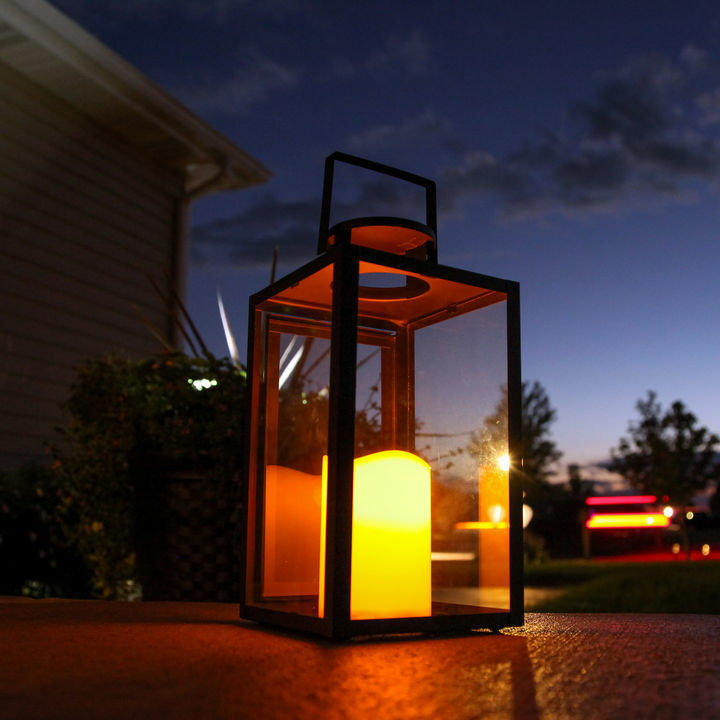 The indoor/outdoor LED votive candles are very nice and worth the money. I was very impressed with how well made they are and I like the fact that you can have the color change and amber flicker option. 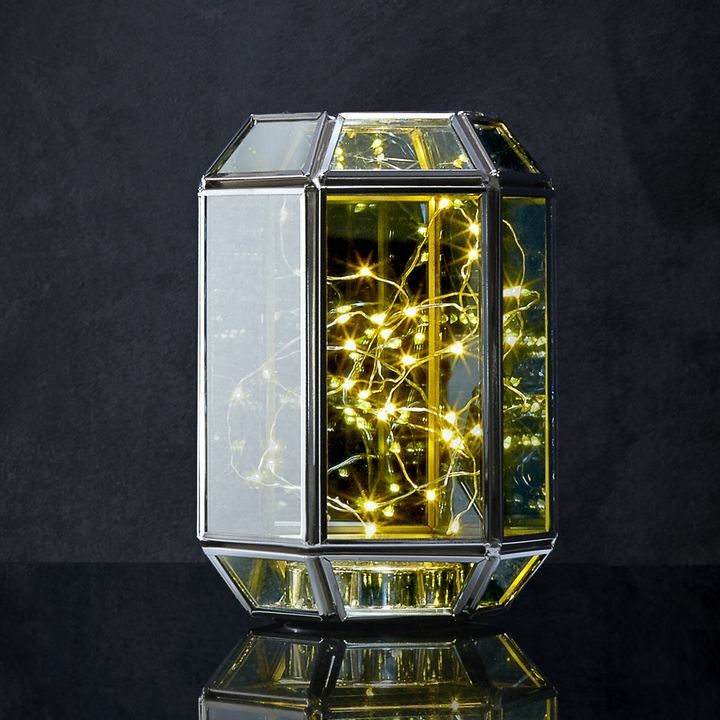 These lights r awesome, especially after the cradles I had in the holders melted all over! I love to sit on my patio and watch the colors change! NO REGRETS! Luv them! Thank u and looking at future purchases on ur website! I think these are going to so fun. We are going to N.C. for a week's vacation and we have a hot tub on the beach front porch. I am going to surprise everyone and set up these pretty little lights around it. I expect it is going to be a big hit. Affordable, really fun and easy to use. We look forward to years of using them for parties, around the tub and just for fun. Great shipping as well. These lights are not like any I have seen on the market. I loved that they can be used as a yellow flicker or as a multiple changing color flicker. You won't be disappointed in these!! Easy to operate, pleasant colors, the only difficult issues may be finding a screwdriver small enought to open the battery case, and replacing the batteries when necessary. 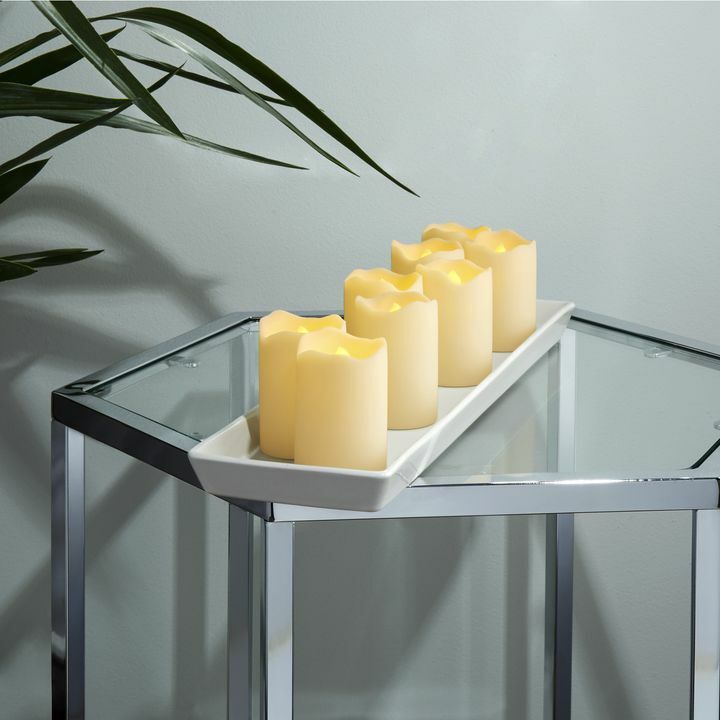 The candles themselves are great and work well as centerpieces, and on outdoor furniture. Experience the ambience with these flickering lights......Love them. Super fast delivery. Package safely. Arrived in perfect condition. Smaller than I thought, but now I can think of more uses! Very happy with my purchase. These lights are great. They are durable and work well. I also like the variety of having 2 settings, basic candlelight and changing color. I am very happy with my purchase. Awesome night lights.They are better than expected. These votive s are a keeper. I have my choice of a soft natural looking flame or I can add ambiance to any occasion with the soft colors that offer continued color changes. 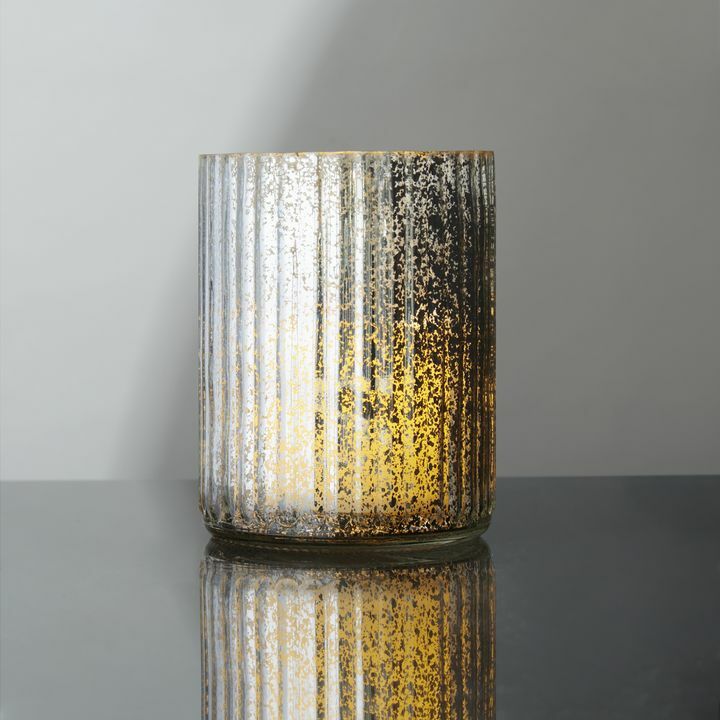 I was impressed by the waxy feel of the votive and the soft shimmer of the flickering lights. Very attractive and the perfect size. Love the small lights. I've already set them out around the house. I love these canle lights! No messy wax and the option to make the candle light colorful for a party OR natural for every evening. Quite a bang for your buck. 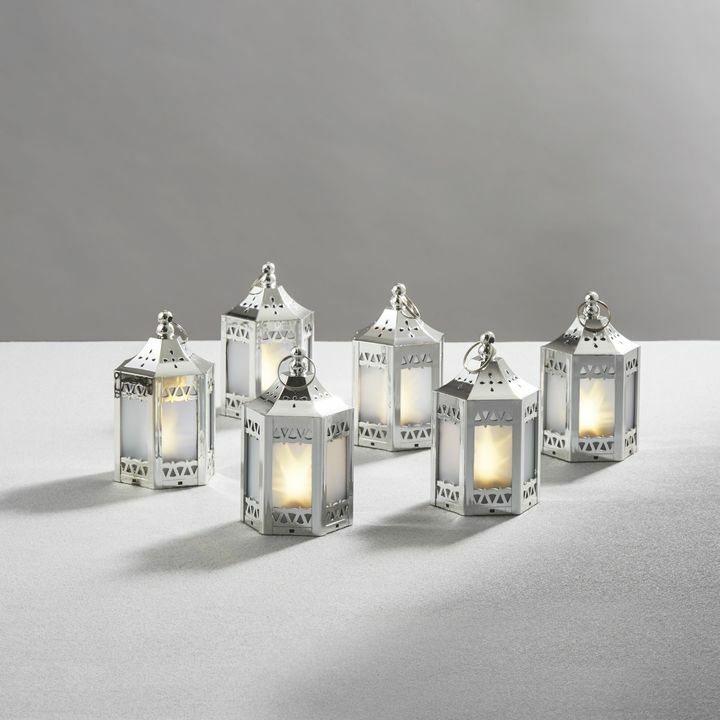 Love these lights, great for indoor or outdoor mood lighting. Very romantic, an easy to use. Better then candles an no mess. Great for emergency lighting also. Keep them handy for many things. They we ok but I thought they we a lot bigger than they are.The pic is deceiving.So I was disappointed when I got them.they were even in a big box. What a big bang for the buck! Put them anywhere. I put some in the trees! Smaller than I thought they would be, but overall they are nice. 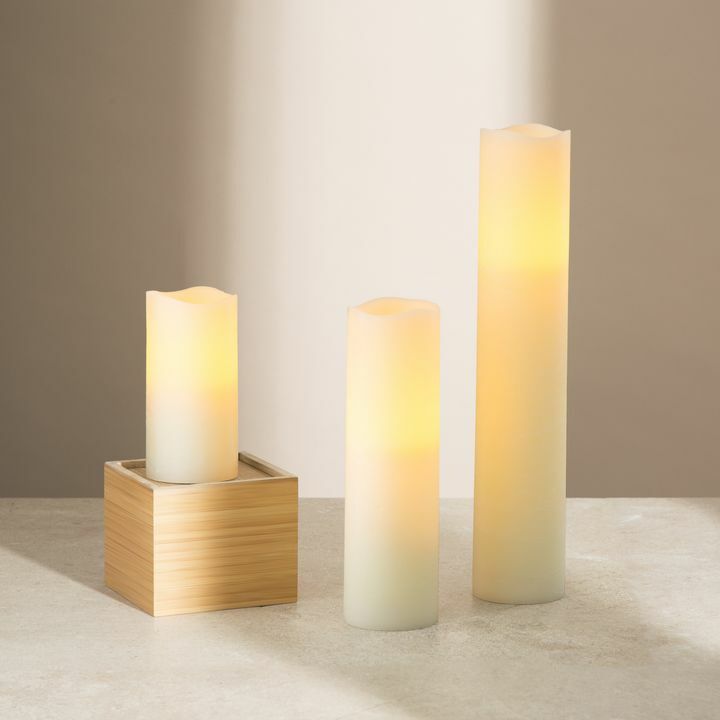 These are perfect for summertime use...I love candles, but in the heat and humidity of summer, I usually refrain from using them. These are perfect for casting the peace and calm I enjoy when entertaining or when I just want to relax listening to good music. The color option is going to be great when holiday season rolls around as wel...safe to set around fresh fragrant greenery on the dining table or on a coffee table. Batteries can be replaced easily and cheaply. I am happy with these to the point I am going to purchase several sets for my own home, and to use as gifts. I would heartily recommend to friends and family! I gave these LED Votives as a house gift for a cabin that my family stayed with. The hostess said that they were bright and fun to have on the deck.No need to worry about a flame when visiting the moutains. Very glad that I bought an extra set for my home. I love these LED candles. I have a bottle tree chandelier that has candle holders mixed in with it. I put some of these LED candles on the constant color and let the other half of them change colors. It is beautiful at night. They have such a soft glow to them and against the colored glass, the beauty is magnified that much more. Makes for a very romantic setting without the worry of flames. Well worth the price. I purchased a set of indoor outdoor color changing lights and I love them. They look like real candles! Had a dinner party lasy night with the candles on the center of the dining room table, surrounding a glass vase. The lights were bouncing around beautifully. Many positive comments. Can think of many different uses. Great item. Lights. 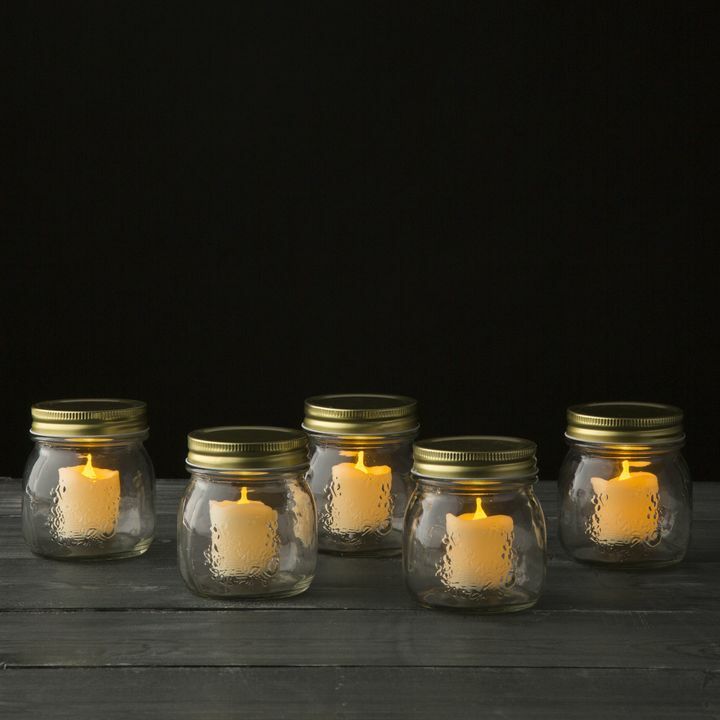 com is awesome I just recently received my flicker candles and I am a very pleased customer, They are beautiful I got the amber color ones I'll be placing them inside wrought iron lanterns for a wedding coming up, and then I have use for them with Christmas coming up.. I think I want to use these for a lot of other ideas can't wait.. Thank you Lights.com you are the best! P.s. I own a flower shop so you bet I'll be a repeating customer.. These are WAY cooler than I thought they'd be!! They are very realistic with a beautiful soft amber glow.. I LOVE them!! I bought these votives for my son to use in his new apartment. When I received them I wanted to keep them for myself, but I didn't. They were so pretty, very good quality, more than I thought I was going to get for a product costing less than $25. My son loved them and even sent me a picture of 3 lit votives on top of his shelf. They were beautiful. Love this product. The light output is brighter than any other flameless candle I've had. Also I love that you have the option of switching to candle mode or the led rainbow color mode. Excellent product that I am enjoying immensely. Received my candles yesterday and I am in love with them. The colors are bright and brilliant when in the change color mode, and amber is lovely too. The look and feel of real candles is just amazing. Lights.com, you did good...........no, great by me! I love these! They're unscented which wonderful since i have allergies and asthma. I can enjoy "candlelight" again, something I've missed for a long time. special bonus is they can be used outside. All in all a great product! I just recieved the candles today. I love the changing colors and I like the option of changing them to regular candle light. I now have a good reason to invite some friends over and impress them with these candles. I was very pleased by my purchase of the Amber and Color Changing Flicker Votives. It was a great price and good quality. I have several hurricane type candle holders, but burning candles makes my house smokey and I worry about fire, but with these LED votives, I can have the light I enjoy without the hazards. The changing color is a nice option too, the colors are very vivid! 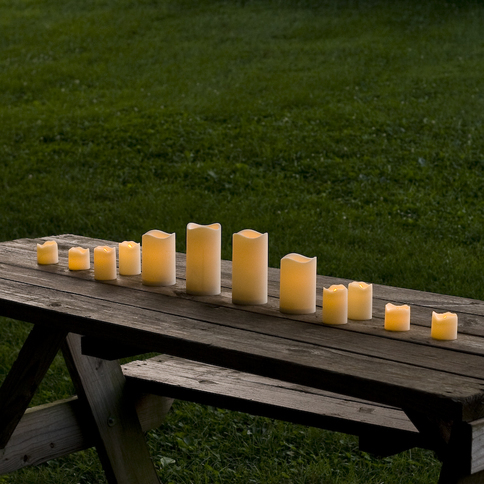 Great alternative to votive candles for outdoor use. We put them on our screened in porch. They add ambience without the risk of melting, or starting a fire. 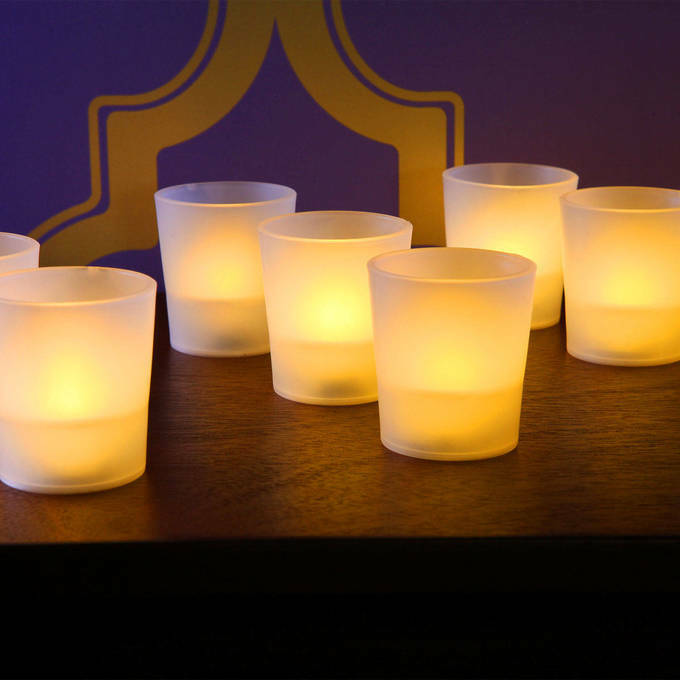 I'm needing led candles like these in bulk for the centerpieces at my wedding reception; they will be going on top of wine glasses flipped upside down. My question is: will they fit or will they be too small? With their 2\" Diameter, they should fit perfectly. Hello- If I order these today when will I have them by? I will need them shipped to Canoga Park CA 91304? They usually ship within 24 hours and since you are located in CA, it should only take about 2-3 business days. 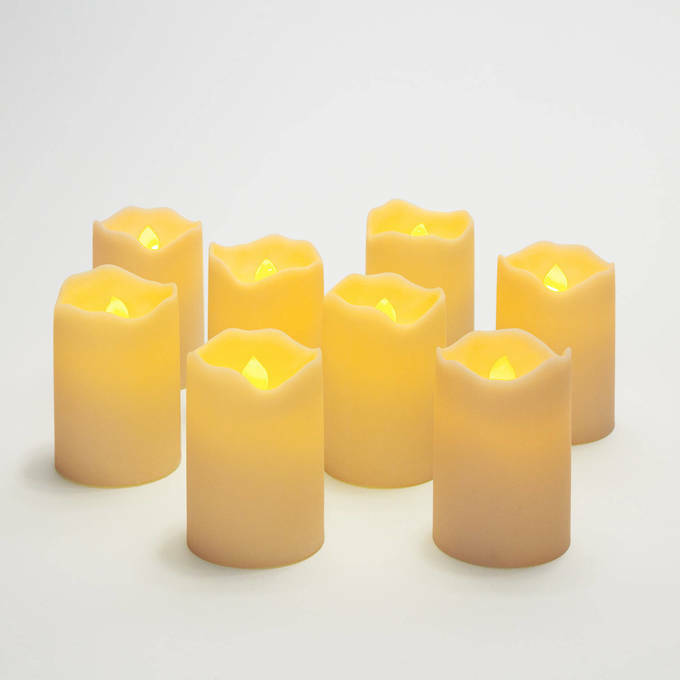 These candles are 3 inches in height and 2 inches in diameter. 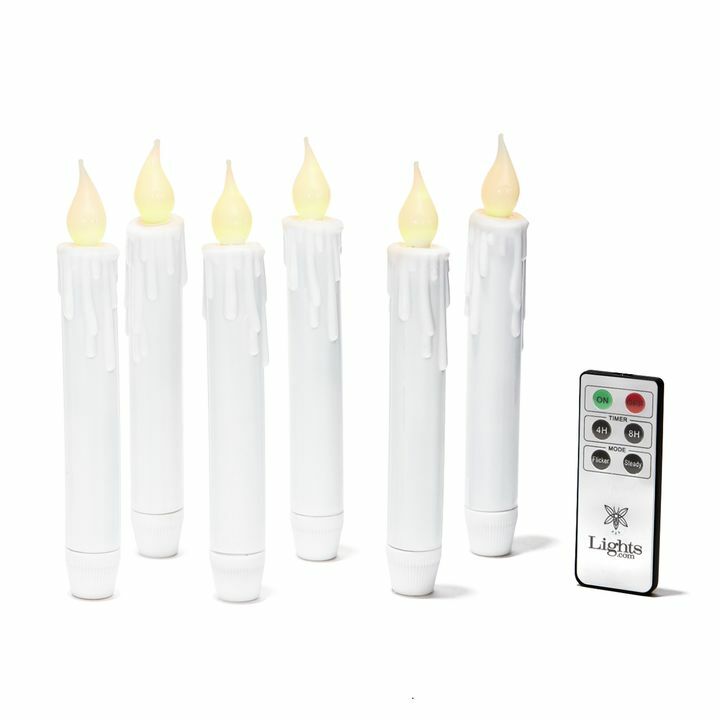 These candles use CR2450 batteries that are included. 1- is there a timer function so they will turn off after a few hours? 2. I don't understand the color changing. Do they cycle thru various colors, or can u set them to one color? Thank u! They cycle through colors and unfortunately they do not have a timer. Unfortunately no they are not. Having trouble redeeming my Living Social Coupon. Any suggestions, other options? Please call us at 866-490-9358. I'm sure any one of our reps would be happy to help you create your purchase. When you say 60 hour run time is that continuous? I'm needing these to operate for an eight hour period. 60 hours means just that, either continuous use or fragmented. This item will light up to 60 hours give or take a few.